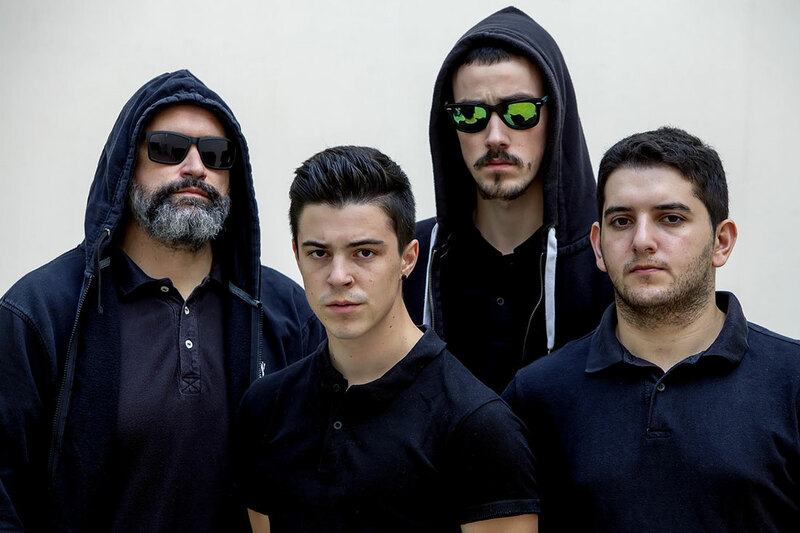 Ultravioleta is Revolta Permanent´s new material. In a project that in includes an album and a documentary, the band from Barakaldo (Biscay) has released this 2018 their most ambitious work, which will be presented live at Kafe Antzokia on February 15th. Eight of the best producers of the country have joined forces in this piece to make something special and different. 8 new songs and each of them has been produced by one of these recognised artists: Manuel Colmenero (Sonobox estudios, Madrid), Josep Umbría (Calma Estudis, Baleares), Maurizio Tonelli (Aurha studio, Barcelona), Carlos Lillo (Rimshot studios, Madrid), Jordi Gil (Sputnik estudio, Sevilla), Francisco Martinez Perez “Pacoloco” (Estudio Paco loco, Puerto de Santamaría), Marc Parrot (Grabaciones silvestres, Barcelona), Dany Richter (El lado izquierdo studio, Madrid). After the remixing process, the work went to Brooklyn, NY, where Jesse Cannon (Cannon Found Soundation), mastered Ultravioleta. He is well known for being part of recordings of The Cure, Dillinger Escape Plan or Limp Bizkit. In addition, Dani Hernández “Lobotipo”, the recognised graphic designer from Barakaldo has made the artistic design of the album. All that has turned the creation, recording and postproduction of the work into an experience for the band and for the producers. The result, eight cuts that are as singular and different among them as the ones that have taken part in the album, which maintain the essence of Revolta Permanent.